The Institute Institute of Pulmonology specializes in lung disease and the respiratory physiology of respiration and physical activity. It is a well-known center for treating neoplasms of the chest cavity’s organs and pulmonary rehabilitation. The Institute of Pulmonology at Chaim Sheba Hospital is one of the oldest and most respected medical institutions in Israel with an extensive range of services, including the most modern methods known to date, used to diagnose lung diseases and treat various illnesses of the thoracic organs.The Institute of Pulmonology at Chaim Sheba Hospital is one of the oldest and most respected medical institutions in Israel with an extensive range of services, including the most modern methods known to date, used to diagnose lung diseases and treat various illnesses of the thoracic organs. The Institute of Pulmonology is a research-clinical affiliate of the School of Medicine at Tel-Aviv University. It consists of clinics in various medical fields, the Lung Oncology Department, an outpatient unit and various laboratories, including those of physiology, bronchology and other. It also offer programs for those who wish to quit smoking. The Institute's doctors are experts in diseases of the respiratory system as well as in treatment of internal diseases; pediatric and intensive pulmonary therapy, oncology and sports medicine. In addition to highly skilled medical and nursing staff, the team includes laboratory and medical equipment technologists, physical therapists, physiologists and psychologists. The Institute of Pulmonology provides its services in close cooperation with other Departments of the Center, such as the Departments of Radiology, Thoracic Surgery, Allergy, Oncology, Microbiology, and Nuclear Medicine. Professor Ben-Dov Issahar- the Head of the Institute of Pulmonology. Specialty: pulmonology, internal medicine, sports medicine. He graduated from the Medical Faculty of the Hebrew University in Jerusalem, and is a specialist in internal medicine. He specialized and worked in the field of pulmonology and intensive care at the University of California in Los Angeles (UCLA). Professor Ben-Dov’s additional specialty is in the field of the physiology of physical exertion. He has received diplomas of the above-mentioned institutions, as well as a diploma of Tel-Aviv University, received after completing training in sports medicine. His research interests lie in the area of pulmonary hypertension, rehabilitation of patients with lung diseases, and the physiology of physical exertion. Dr. On Amir – the Head of the Department of Pulmonary Oncology, the Head of the Clinic for Lung Malfunction. Specialty: internal medicine, thoracic surgery, surgical oncology, pulmonary. He graduated from the Medical Faculty of the Hebrew University in Jerusalem, and specialized in internal medicine and pulmonology at Tel-Aviv Souraski Medical Center. From 2000 to 2006, Dr. On worked at the M.D. Anderson Cancer Center, in Houston, Texas (USA), where he participated in various scientific studies, and also passed an additional specialization in surgical lung cancer. As a member of the Medical Center, Dr. On was honored with a prestigious award of Association of American Medical Scientists. After returning to Israel, Dr. On has become a member of the Chaim Sheba Medical Center, where he still works in the field of lung cancer, and particularly in the diagnostics and treatment of thoracic primary and secondary cancer. Dr. Shlomo Benizri – a leading specialist and the Deputy Head of the Clinic for Lung Malfunction. Specialty: pulmonology, pediatrics and pediatric pulmonology. Born in Istanbul (Turkey), he graduated from the Medical Faculty of Dzherrahpashi Istanbul University. Working in the Chaim Sheba Medical Center, he specializes in the field of pediatrics. In 1980 he undertook a specialization in the field of pulmonology at the Clinic for Lung Malfunction. Dr. Benizri is a specialist in treating diseases of internal medicine, pulmonology and pediatric pulmonology. While working at the clinic, among other things, he has developed a system to assess the risk of complications arising from air travel, coupled with systems measuring reduced oxygen levels in the blood of patients with respiratory and cardiovascular diseases that are currently used in other medical centers. Dr. Hector Royzin- the Head of the Clinical Research Center of the Institute of Pulmonology. Born in Argentina, he graduated from the Medical Faculty of the University of Buenos Aires. In the Chaim Sheba Medical Center, he specializes in pediatrics. Since 1989, he has worked in the Clinic for Lung Malfunction, and heads now the Center for Clinical Research of the Institute of Pulmonology. The main focus of his scientific work is on the study of bronchial asthma and chronic obstructive pulmonary disease. Dr. Tiberio Shulimzon – the Head of the Department of Interventional Pulmonology and a leading specialist in bronchology. Born in Romania, he graduated from the Medical Faculty of the University of Iasi. Dr. Shulimzon specializes in pulmonology and intensive care medicine. 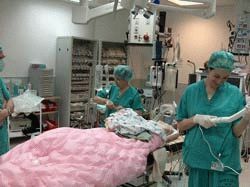 He is a leading specialist in emergency and intensive care medicine. He specialized in pulmonology at St. Margaret Hospital in Marseille (France) and the University Hospital of Basel (Switzerland). Since 1999, he has served as the Head of the Department of Interventional Pulmonology in the Chaim Sheba Medical Center, where he has implemented a variety of new laser procedures and stenting of the airways. Research interests: interventional pulmonology; the latest methods of diagnostic and therapeutic bronchoscopy; and the diagnostics and treatment of interstitial lung disease. The Clinic specializes in the diagnostics and treatment of common diseases of the respiratory system, such as chronic obstructive pulmonary disease, emphysema, chronic bronchitis, bronchiectasis, allergic and occupational asthma, lung and chest tumors, as well as various inflammatory lung diseases, pulmonary tuberculosis, interstitial lung disease (fibrosis of the lungs), sarcoidosis, respiratory disorders during sleep, and pathological processes in the lungs related to other systemic diseases, such as cardio-vascular or connective tissue diseases (systemic lupus erythematosus). Treatment of such rare conditions as primary or secondary pulmonary hypertension or idiopathic alveolar proteinosis is held in the facilities specially designed for this purpose. The main cause of the rather common lung disease – emphysema - is smoking. By emphysema the lung tissue is inflated and subsequently destroyed. The disease is mostly incurable by means of medication, so there have been attempts to treat it by surgically removing abnormal areas of lung tissue. The major drawbacks of this approach are the high risk of death during surgeries on the lungs and the fact that not all patients are suitable for such operations. As a result, searching for more acceptable ways to treat emphysema has led to the development of an endoscopic technique, during which the bronchus leading to the affected area of the lung is overlapped, with special biological glue made of blood proteins. This is still an experimental form of treatment approved for use in Europe. However, it is effective only in a localized form of emphysema. With a widely spread disease, using this method is not possible. The obvious advantages of this treatment, compared to full-fledged traditional surgery, are the use of local anesthesia, shorter hospitalization (typically two days), and the possibility of extended application. 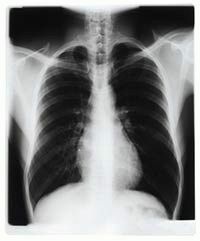 Preliminary work required in preparation for this procedure includes testing of respiratory function, computed tomography (CT) of the chest, and expert advice. Pulmonary hypertension is a relatively rare pathology, occurring mostly in young women. In recent years, there has been a significant shift in the study of this disease, and there are now drugs to treat it effectively. These drugs are available in a tablet form and as subcutaneous and intravenous injections and inhalations. The clinic has gained rich experience in this field, and offers a program of comprehensive treatment of pulmonary hypertension. Bronchology is the section of pulmonology dedicated to the studies of diseases of the bronchi, their diagnostics and treatment. Most diagnostic research in this area is carried out by means of a flexible fiber-optic instrument called a bronchoscope, usually with intravenous sedation and local anesthesia of the mucous membrane of the throat. This type of examination may detect inflammatory and neoplastic processes of the respiratory tract. 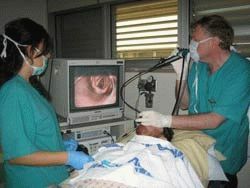 Bronchoscopy also uses a number of additional procedures, such as fluorescence bronchoscopy, endobronchial ultrasound, biopsy of tissue samples from the respiratory tract and lungs, as well as various laser procedures and stenting of the airways. The clinic is equipped with the latest equipment for endobronchial ultrasonography, a method that combines fiber optics and ultrasonic waves. Using this method, it is possible to obtain biopsy samples from deep lying tissues with high precision, thus, minimizing the necessity for open surgery. The later stages of many lung diseases manifest themselves in respiratory distress. In this state, it is difficult for the blood to absorb oxygen and excrete carbon dioxide. Breathing is difficult, especially at night. In recent years, the introduction of a new, noninvasive method of ventilation has represented a major medical achievement. The Clinic specializes in noninvasive assisted ventilation, including the use of equipment for conducting Continuous Positive Airway Pressure (CPAP) and Biphasic Positive Airway Pressure (BIPAP) therapy. In the case of equal pressure in all phases of the respiratory cycle, this method is called CPAP. If there is pressure of various levels by inhale/exhale, it is called BIPAP. With these methods, unlike conventional mechanical ventilation, there is no need for airway intubation. Instead, the equipment uses a special, tight-fitting mask that is placed on the patient''s mouth and nose, through which air under pressure enters the respiratory tract. The key to the success of this treatment is the choosing the correct pressure, together with careful selection and tuning of the equipment for CPAP-therapy. Any slight discrepancy, for example, excessive pressure on the face, can lead to inefficient treatment. For this reason, maximum precision is needed. Thus, the method requires highly skilled professionals. Well-chosen parameters can lead to better sleep, higher levels of oxygen in the blood, reduced sleepiness and better well-beinge in the daytime, and, consequently, to improved quality of life, and even its prolongation. One of the methods for diagnosing asthma and other lung diseases is to measure lung volumes and air flow circulation in the lungs. This type of diagnostic analysis is called "pulmonary function testing." hypoxia altitude simulation test (HAST), which is conducted to predict the occurrence of hypoxemia during flight or to simulate the conditions of high altitude flight, and thus determine the necessity for oxygen therapy during the trip. This study is intended for patients suffering from cardiovascular and respiratory symptoms, as well as for overweight people. provocative tests with pharmacological (metilholin) and physical exertion in diseases of the respiratory system. In the Center of Clinical Research, we regularly carry out trials of new drugs and diagnostic products intended for treatment of various respiratory diseases. If patients decide in favor of participation in clinical trials, they can experience the latest treatments that are, however, not yet in wide practice. The participants in clinical trials are under constant medical supervision throughout the study, which allows both the best treatment of respiratory diseases as well as early detection and treatment of other disorders that can arise. Diseases that are a frequent subject of clinical research include asthma, emphysema, pulmonary fibrosis and pulmonary hypertension.